Not as well known as The Gettysburg Address, Abraham's Second Inaugural speech is a powerful document that should also be studied and considered deeply: "In great contests each party claims to act in accordance with the will of God. Both may be, and one must be wrong. God cannot be for, and against the same thing at the same time." On the occasion corresponding to this four years ago all thoughts were anxiously directed to an impending civil war. All dreaded it, all sought to avert it. 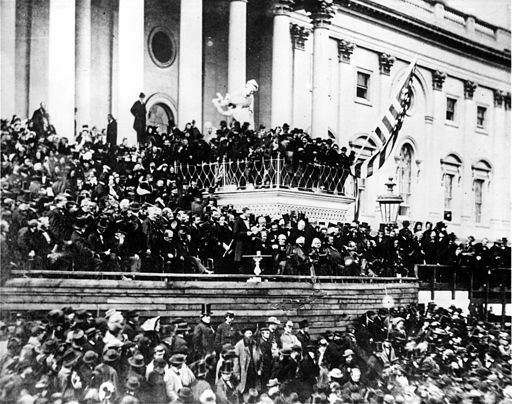 While the inaugural address was being delivered from this place, devoted altogether to saving the Union without war, insurgent agents were in the city seeking to destroy it without war--seeking to dissolve the Union and divide effects by negotiation. Both parties deprecated war, but one of them would make war rather than let the nation survive, and the other would accept war rather than let it perish, and the war came. Explore American History, our collection of presidential speeches, essays, and stories, and Civil War Stories.